While Panalpina recorded the highest Air Freight volumes since 2007, gross profit margins in both Air and Ocean Freight came under pressure in 2016. This resulted in lower full-year earnings for the international freight forwarding and logistics company. Adjusted for restructuring expenses of CHF 28 million, EBIT reached CHF 109.9 million (-6.3%) and consolidated profit CHF 80.2 million (-9.1%) in 2016. In 2016, Panalpina’s gross profit decreased 3.3% to CHF 1,424.6 million (2015: CHF 1,473.8 million). Adjusted for oil and gas related restructuring expenses of CHF 28.0 million, EBIT reached CHF 109.9 million (reported 2016: CHF 82.0 million; 2015: CHF 117.2 million). The adjusted EBIT-to-gross-profit margin came in at 7.7% (reported 2016: 5.8%; 2015: 8.0%) and the adjusted consolidated profit amounted to CHF 80.2 million (reported 2016: CHF 52.3 million; 2015: CHF 88.2 million). Panalpina’s Air Freight volumes increased 10% (4% organic growth) in 2016, in a market that grew by an estimated 1-2%. The air freight industry had the busiest peak season since 2008 and Panalpina recorded the highest air freight volumes since 2007. The company transported 921,400 tons of air cargo last year (2015: 836,200 tons). Gross profit per ton decreased 7.5% to CHF 646 (2015: CHF 699), resulting in a total gross profit of CHF 595.2 million (2015: CHF 584.1 million). On an operating profit level, Air Freight achieved an adjusted EBIT of CHF 93.5 million (reported 2016: CHF 80.8 million), compared to CHF 88.5 million the year before. The EBIT-to-gross profit margin in 2016 came in with 15.7% (reported 2016: 13.6%; 2015: 15.2%). CHF -0.6 million), after an EBIT of CHF 26.6 million in 2015. The EBIT-to-gross profit margin dropped to 2.5% (reported 2016: -0.1%; 2015: 5.5%). 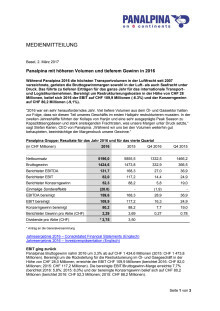 In Logistics, gross profit decreased 5.8% to CHF 385.7 million (2015: CHF 409.3 million) and adjusted EBIT increased to CHF 5.6 million for 2016, compared to CHF 2.1 million last year (reported 2016: CHF 1.8 million). 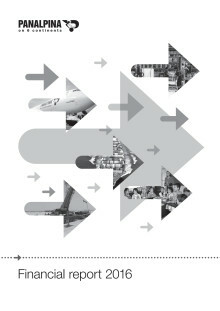 This marked the second positive year for Logistics on EBIT level. In light of the healthy net cash position and stable profitability, the board of directors will propose an increased (+7%) dividend payment of CHF 3.75 per share to the Annual General Meeting on May 3, 2017. This is equivalent to a dividend yield of 3% (based on the 2016 year-end share price). “The unusually strong air freight peak season, and the temporary capacity constraints in the ocean freight market in 2016, mean that we have to concentrate even more on improving our yield management, especially when it comes to our Ocean Freight operating model,” says Karlen. “Yields have continued to remain under pressure in January and February and we expect the first quarter to come in below the previous year. 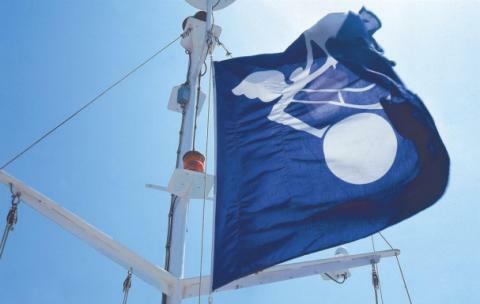 Despite 2017 being a year of great political and macroeconomic uncertainties, we are keeping to our long-term goals and are confident that we can maintain stable costs to position the business for volume growth.” Panalpina expects the air and ocean freight markets to grow by 2% in 2017. 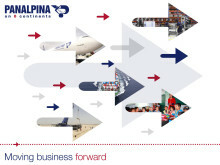 The Panalpina Group operates a global network with some 500 offices in more than 70 countries, and it works with partner companies in over 90 countries. Panalpina employs approximately 14,500 people worldwide who deliver a comprehensive service to the highest quality standards – wherever and whenever. Während Panalpina 2016 die höchsten Transportvolumen in der Luftfracht seit 2007 verzeichnete, gerieten die Bruttogewinnmargen sowohl in der Luft- als auch Seefracht unter Druck. Das führte zu tieferen Erträgen für das ganze Jahr. 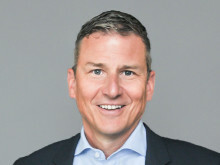 Bereinigt um Restrukturierungskosten in der Höhe von CHF 28 Millionen, belief sich 2016 der EBIT auf CHF 109,9 Millionen und der Konzerngewinn auf CHF 80,2 Millionen.